Home made from scratch | Retired? No one told me! Rice, walnut and squash stuffing. Heat oven to 200 C /180 C fan/gas 6. Tip the onion, squash, and walnuts into a roasting tin with the oil, chopped sage, and seasoning, then toss well with your hands. Roast for 20 mins or until the edges of the squash start to tinge brown. If your oven is full, you can simply fry the lot together in a large frying pan. Add the rice and stir to coat it, then tip the lot into a saucepan. Add the stock and stir well. Bring to a simmer and cook for 20-25 mins or until the rice is tender and the stock absorbed. Add cheese, if using, and tip into a baking dish. You can now cover and chill the stuffing for up to a day. To finish, heat grill to high, then cook until the top is browned and crisp and the stuffing is hot through. In a large pan, cook bacon until crisp. Use a slotted spoon to transfer to paper towels to drain. Pour off all but 1 tbsp. of drippings. Add celery and onion to skillet. Cook 5 minutes or until tender. Stir in dates, thyme, and garlic. In a large bowl combine bread cubes, date mixture, and bacon. Drizzle with enough broth to moisten, stirring to combine. You can then cook the stuffing and serve as an accompaniment or use to stuff a piece of loin as I have done we love pork loin with stuffing. To stuff, the pork loin either cut a pocket and stuff or cut the loin but not right through put the stuffing down the middle and roll and tie with string. This recipe is for stuffed pork loin but with a different stuffing but more detailed on how to stuff a pork loin if you are a beginner. You can then wrap the loin in bacon if desired. My stuffing is a mushroom stuffing using porcini mushrooms. Heat oven to 200 C/fan 180C/gas 6. Oil a non-stick 12-hole bun tin and line holes with two strips baking parchment, to form a cross. Put the mushrooms in a bowl and pour over the hot vegetable stock. Leave for 20 mins, then strain, reserve the stock and chop the mushrooms, if large. Heat oil in a pan, add onion and fry for 5 mins until softened. Add the pine nuts and fry until lightly toasted. Add the garlic, rice and cook for 2 mins. Tip in wine, let it bubble, then add the reserved stock, mushrooms and bring to the boil. Reduce heat, cover and simmer for 10 mins, until the rice is just cooked. Remove from heat and cool, then stir in the egg, basil, pepper, and salt, if using. Fill the tins with stuffing, sprinkle over parmesan. Bake for 20-25 mins, until golden on top. Cool in the tins, or for 5 mins if serving straight away. Remove by pulling up the parchment crosses. You can make these up to two days ahead. Then reheat on an oiled baking sheet, at 200 C/fan 180C/gas 6 for 10 mins. 800 gm Cumberland Sausages removed from the skin. Heat the oil in a large pan, add the celery and onion, and cook for about 5 mins until starting to soften. Tip into a bowl to cool while you remove the sausage meat from the skins. Add the apple, sausage meat, breadcrumbs, herbs, egg, and seasoning. Mix well – the easiest way is to knead it together in the bowl with your hands. I use about 1/4 of this mix to stuff the neck cavity of the turkey. For the remainder, I line a 900 gm loaf tin with 8 rashers of streaky bacon, spoon in the stuffing, lift the bacon over and cover with the last 2 rashers. Heat oven to 180C/160 C fan/gas 4 and bake the stuffing for 40-50 mins. It can be made ahead up to this point and chilled for 2-3 days. Turn out onto a baking-parchment-lined baking tray and return to the oven (once the turkey has come out) at 220 C/200C fan/gas 7 for 15-20 mins more to brown the bacon. If chilled, reheat at the lower temperature for 45 mins, covered in foil, then turn out for the extra 15 mins at the higher temperature. Allow standing, then scatter with parsley (if you like), slice and serve. Soak the cranberries in the port for an hour. Fry the onion and bacon gently in the butter, until the onion is tender and the bacon is cooked. Add the garlic and fry for another minute or so. Cool slightly, then mix with all the remaining ingredients, including the cranberries and port, adding enough egg to bind I find it easiest to use my hands so get those hands in and mix thoroughly. This stuffing can be baked in a dish or rolled into balls that will be crisp on the outside and moist inside. Bake in a greased dish at 190 C/gas 5/fan 170 C for about 40 minutes, until browned and, in the case of sausage meat stuffing, cooked right through. Alternatively, roll into balls that are about 4cm in diameter. Roast the stuffing balls in hot fat (they can be tucked around the turkey or done in a roasting tin of their own) for 30-40 minutes, until crisp and nicely browned on the outside. Water Chestnut and Bacon Stuffing. 1 can of whole water chestnuts, roughly chopped, optional…I am lucky I can get fresh water chestnuts. Any of your favourite herbs or seasoning: additional thyme, rosemary, sage or 1/2 a teaspoon or so of red pepper flakes, etc. In a large pan, fry bacon until crisp, remove and put to one side. Discard all but 2 to 3 tablespoons of drippings. Add butter and stir till melted. Add celery and onion and cook until softened, 6 to 8 minutes. Add mushrooms & garlic and continue to cook for a few more minutes. Remove from heat and add the breadcrumbs, the reserved bacon and water chestnuts, if using. Toss together and add chicken broth to moisten. Taste for seasoning & add in salt, pepper and additional desired herbs. This is best left overnight in the refrigerator before baking. Check for the desired amount of moistness and add additional broth, if needed, before baking. Stuffing should not be wet. Bake in a buttered casserole, covered, at 325 to 350 degrees for about an hour, uncover and continue to bake until top is a little crispy and crunchy, an additional 15 minutes or so. Next, I always do a little tester, in fact, I generally do that with all my stuffing as it is the only way to tell if the seasoning is correct. Fry a knob of stuffing in a little butter, taste and adjust the seasoning if necessary. Mix honey, thyme and Worcestershire sauce in small bowl, add sausages and make sure they are coated in the mix. Cut bacon down the middle long ways. Wrap bacon around sausages. Put sausages on a baking sheet well spaced apart. Cook on 180 for about 30 minutes until nicely browned and bacon is crispy. About half loaf of Stale white bread either broken into smallish pieces or can blitz into breadcrumbs if you like a smoother sauce. I brown Onion peeled and studded with cloves. Pour milk into a saucepan and add studded onion. Slowly bring to boil and turn down and let gently simmer for 5 minutes. Remove from heat and allow to cool. When cool remove Onion and bay leaves. This can be reheated to serve or made the day before and kept covered in the fridge. It is quite a thick consistency so if too thin add some more bread if too thick some more milk. 3 cups or 12 oz of cranberries. The juice of 2 large Oranges. Put all the ingredients in a heavy bottomed pan, bring to the boil and turn down so it is still a rolling boil and cook for 10 mins if ( using) frozen berries or 20 minutes if using fresh cranberries as they will take a bit longer to pop. Allow mixture to cool and put in an airtight container and refrigerate. When I was a child the only time we had dates were at Christmas they were a treat but dates now are used as appetizers wrapped in bacon the saltiness of the bacon is a good foil for the sweetness of the dates also stuffed with blue cheese they are a lovely thing and very moreish and are seen on many a buffet table. This entry was posted in Carol Cooks2, christmas recipes, Cook from scratch, Home made from scratch, Sauces, Stuffing mix, Uncategorized and tagged christmas recipes, Sauces, Stuffings on December 18, 2018 by CarolCooks2. Healthy Eating…How to lose weight and eat the foods you love! It is getting really hot here and I know some of you are not so lucky and as my friend Sally very nicely puts it you are freezing your assets off. Therefore I have picked a lovely Thai Pork salad for those of you in warmer climes or who just fancy some Thai food and a lovely vegetarian Chilli for those of you who don’t eat meat or have meat-free days. I made mango chutney with some and some of the green ones we slice and eat with a spicy Thai dip as a snack… The remainder I froze in portions to use in my protein drinks or smoothies. Finely chop one small shallot, 1 clove of garlic, finely slice 6/8 fresh chillies, add 3 tbsp fish sauce and 2 tbsp fresh lime juice…I stir in a little-chopped coriander. If the dip is too salty add a little warm boiled water. Thai food is a great choice for gluten-free and dairy-free eaters because it is rice-based and uses a lot of coconut milk. … Traditional Thai soy sauce is gluten-free, but just be careful when eating out as restaurants may use wheat based Chinese soy sauce. Thai food is low on carbs, includes lots of fresh vegetables and herbs and most dishes are cooked very quickly so everything retains its colour and flavour, in fact, preparation most times takes longer than the actual cooking. This Larb recipe can be made using chicken or Pork. I have used Pork Mince for this. 200 gm Pork or chicken mince. 2 spring onions finely sliced green tops as well. A handful of fresh Mint, pick the leaves from stem and tear the leaves into large pieces( mine is a big handful) I love mint. A handful of fresh coriander chopped. A few Thai Basil leaves for the decoration. I Lime use half to a whole lime juice depending on personal taste. Dried chillies..dry roasted in a pan and grind in pestle and mortar. Small amount palm sugar….I use it sparingly or not at all. Using a small saucepan dry cook the mince, I add a small amount of water to stop it from sticking. Stir until cooked, remove the pan from the heat. Stir in toasted rice, sm amount palm sugar, chilli( as desired) start with 1 tsp and once all ingredients added ..taste and add more if required. Stir in the mint and coriander, shallots and spring onions, stir well but carefully. Add fish sauce and half of the lime juice. Taste! if required add more chilli, fish sauce and or lime juice and Taste again as lime and chilli. Put in a serving dish. Garnish with Thai Basil leaves. Serve with steamed boiled rice /Thai sticky rice or if you don’t want to eat rice it is lovely served in lettuce cups. As an accompaniment serve with sliced cucumber, sliced white cabbage, green beans and Thai basil leaves. Thai’s eat a lot of raw vegetables with Larb which is why it’s a fairly healthy meal and if a chicken is used it has even fewer calories. It is an ideal dish if you are watching the calories as are many Thai dishes. NB: To make dried rice mix, Take a thick bottomed pan and put it on a medium to low heat, cover bottom with uncooked sticky rice( if you don’t have any) normal rice will do. Stir until rice turns a golden brown colour, tip into pestle and pound until powdery but slightly coarse. N.B. Glutinous rice is gluten-free. The misleading name simply comes from the fact that glutinous rice gets glue-like and sticky when cooked. … It all comes down to starch content. I hope you enjoy this dish as much as I do…I love this salad. Next, I have this lovely meat-free dish made by my friend Richard…He is not vegetarian but likes to have meat-free days. 125 gm of mushrooms finely chopped. 2 tsp each of cumin, chilli powder and coriander powder. Add the tomato paste and then the spices cook for 15-20 minutes until all the vegetables are soft and then add the kidney beans, cook until the lentils are soft. Check the seasoning and add salt and pepper as required. Lovely served with courgette ribbons, cauliflower rice or on a small jacket potato. I asked Richard if he soaked his lentils and he said no as they like them al-dente I myself do not cook very much with lentils and so I soaked mine. I think with lentils it is down to personal choice. Richard also said that the chilli had as good a texture as one he usually makes with meat. It certainly looks very tasty in his photo…Doesn’t it?? You can also use basic vegetable mix and add a creamed potato topping to make a lovely shepherds pie. Now tell me honestly how is your new eating plan going do you find my hints and tips helpful??? The protein shake we tested this week was a Mango and Apple Protein Shake. 3/4 cup of coconut water or liquid of your choice. I didn’t add any sweetener to this mixture as it was sweet enough for me but if you need a little more sweetness then add some honey. Play with your fruits and flavours as long as you stick to the measurements when making a protein drink. It tastes amazing and the colour just pops it is such a vibrant pink colour and all natural ingredients… If you missed this post it gives you further information on making your own protein drinks and what alternative liquids you can use instead of my prefered coconut water. Until next week when I will give you a few more healthy recipes maybe some soups as I hear that it is very cold for some of you … I am going to be pickling some Pineapple with jalapeno peppers now doesn’t that sound awesome and by special request from little Lily a pineapple shake…she loves the shakes as she doesn’t get them in the village no mod cons there …Now it is school holidays she is staying here and a great little helper she is she helped her daddy make meatballs for tonight’s dinner which were very nice but filling. This entry was posted in Cooking from scratch, Home made from scratch, No faddy diets just healthy food, No more diets!, No powders...Home made Protein drinks, Uncategorized and tagged Authentic recipe, Lentils, Mango Protein Drink, Spicy pork salad, Thai Basil, Vegetarian Chilli on March 20, 2018 by CarolCooks2. Smorgasbord Blog Magazine – Carol Taylor’s Food Column – Easter celebrations around the World and Baked Easter Treats. 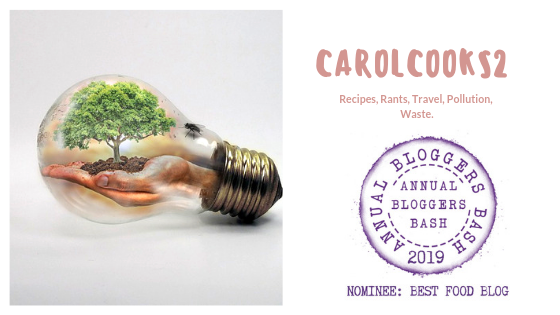 This entry was posted in Bread Pudding, Carol's Cookery column on Smorgasbord, Cooking from scratch, Easter Recipes, Home made from scratch, Uncategorized and tagged Carrot cake, Iced Biscuits, Recipes on March 14, 2018 by CarolCooks2. 3/4 a cup of Cider Vinegar. 3/4 a cup of water. 1/2 cup of sugar plus 1 tbsp sugar. 2 Jalapenos cut in half lengthwise and deseeded. Boil eggs for 10-15 mins until hard. Remove from heat and put into cold water. In a medium pan, put vinegar, water( or beet juice) if using, onion, jalapenos, sugar, and spices. Bring to the boil and cook until sugar is dissolved. Remove from heat and allow to cool for a few minutes. Pour vinegar over eggs making sure they are completely covered. If using beet juice also put some beet in the jar with the eggs. You will then have pickled beets as well. Make sure the lid is tight and refrigerate. The eggs will be ready to eat in a few days and will keep for up to a month if you haven’t already eaten them. I tbsp yellow curry paste. As above bring all the ingredients to the boil until sugar is dissolved. Allow to cool a little and then pour the vinegar mix over the eggs making sure they are completely covered. Allow to pickle for a few days in the fridge they are then ready to eat… Left with lots of pickle juice ???? What is a pickleback? You are about to find out! A popular drink in bars around the world and apparently very good….Have you tried a pickleback???? This entry was posted in Home made from scratch, Pickleback, Pickled Eggs, Pickles, Uncategorized and tagged Authentic recipe, Health, Made from Scratch, Pickled Eggs on February 27, 2018 by CarolCooks2. Milk products, such as cream, yogurt, butter milk, clotted cream, soured cream and creme fraiche, have a myriad of uses in sweet and savoury dishes. Though commercially available, the latter three are easily made at home. Here I’m going to tell you how to make creme fraiche easily at home. Creme fraiche is a partially soured, tangy cream which has the added bonus of not separating during cooking. In the following creme fraiche recipe along with the addition of double cream you can add sour cream or plain yogurt to make the creme fraiche tastier and creamier. You can use creme fraiche as flavouring for soups, sauces and savoury dishes. It is also delicious with fruits and sweet dishes. Following is the easy homemade creme fraiche recipe. Mix 500ml butter milk and double cream in a bowl. This entry was posted in Creme Fraiche recipe, Home made from scratch, Uncategorized and tagged butter, Cream on December 21, 2017 by CarolCooks2. This is the last in the current series of Cook from Scratch with Sally and Carol Taylor.. The good news is that next year Carol will be taking on the role of Food Columnist for the blog magazine.. that is very exciting as I know that we are going to be introduced to exotic foods from Thailand as well as recipes that elevate our everyday foods to delicious and nutritious meals for all the family.. This week… The Turkey.. a bird that was usually eaten mainly at Thanksgiving and Christmas but is available all year in supermarkets and butchers. Before handing over to Carol.. a look at all the health benefits this large bird brings to the table. This entry was posted in 13 Christmas Trolls, christmas recipes, Cook from scratch with Sally and Carol, Health and Nutrition, Home made from scratch, Retired! No one told me!, Sally and Carol Health and recipes, Sally at Smorgasbord 2017 and tagged christmas recipes, Cooking time calculator, Hamlet Cigars advert, Health benefits of turkey, How to ook and prepare, Mr Bean, Stuffing, Turkey on December 20, 2017 by CarolCooks2.